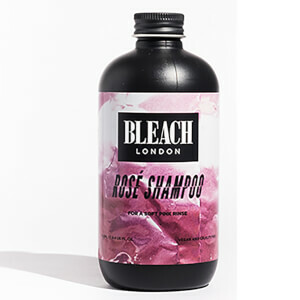 Preserve blonde hair with BLEACH LONDON Silver Shampoo. Specially formulated for blonde hair, the silver shampoo is infused with violet pigments to help maintain the brightness of your blonde tresses by banishing unwanted brassy and yellow tones. Cleansing away impurities while preserving colour vibrancy, the shampoo will leave blonde hair feeling radiant and revived. Also contains Wheat Proteins and Vitamin B5 to moisturise. Lather into wet hair and massage through to the ends. 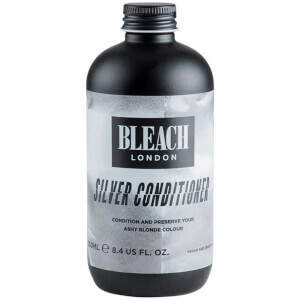 Rinse well and follow with BLEACH LONDON SILVER CONDITIONER. Warnings: Avoid contact with eyes. If product gets into the eyes rinse well with water immediately. Avoid contact with clothing and towels. Aqua (Water), Cetearyl Alcohol, Cetyl Alcohol, Behentrimonium Chloride, Glyceryl Stearate, Peg-100 Stearate, Cyclopentasiloxane, Parfum (Fragrance), Amodimethicone, Isopropyl Alcohol, Benzyl Alcohol, Cetrimonium Chloride, Phenoxyethanol, Potassium Sorbate, Dimethiconol, Trideceth-12, Tocopherol, Citric Acid, Hexyl Cinnamal, Butylphenyl Methylpropional, Limonene, Dipropylene Glycol, Ci 60730 (Ext Violet 2).